The idea is that the 2020s will be the age of intelligent connected systems, according to Woods 2016. This is already happening. Thins are progressing: smart buildings, autonomous cars, etc. In architectural terms, this results in billions of communicating hw/sw components, interacting to reach a goal. For this, data gathering is essential. Environmental data gathering, or better, its lack thereof is recognized as one of the primary factors in accidents. CAPS is intended to model situational aware cyber physical systems. It contains three meta models, one for the SA, one for the HW, and one for the physical space. The models should help in some way. 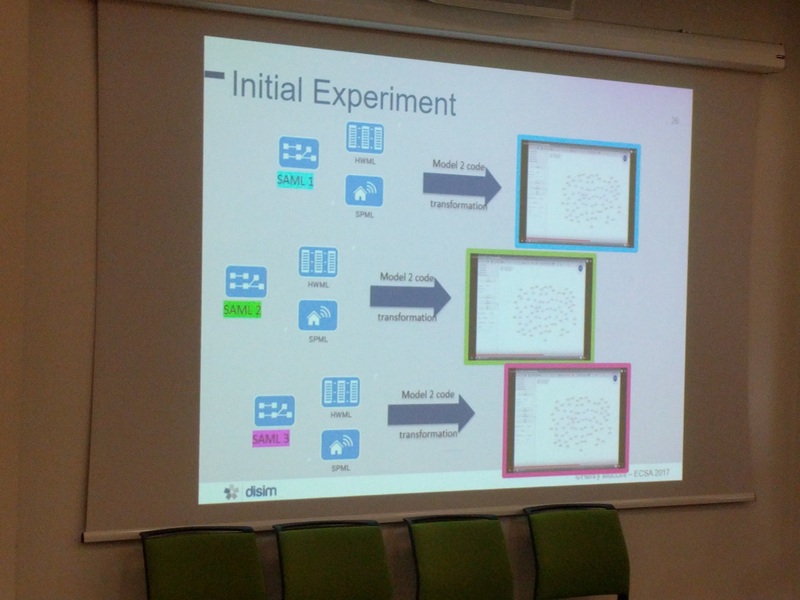 Based the models are transformed into code based that can be analyzed in the CUPCARBON framework. CUPCARBON is not only an IoT simulator, but it can also generate code for the different devices. Its typical usage is to create a manual specification of each sensor. 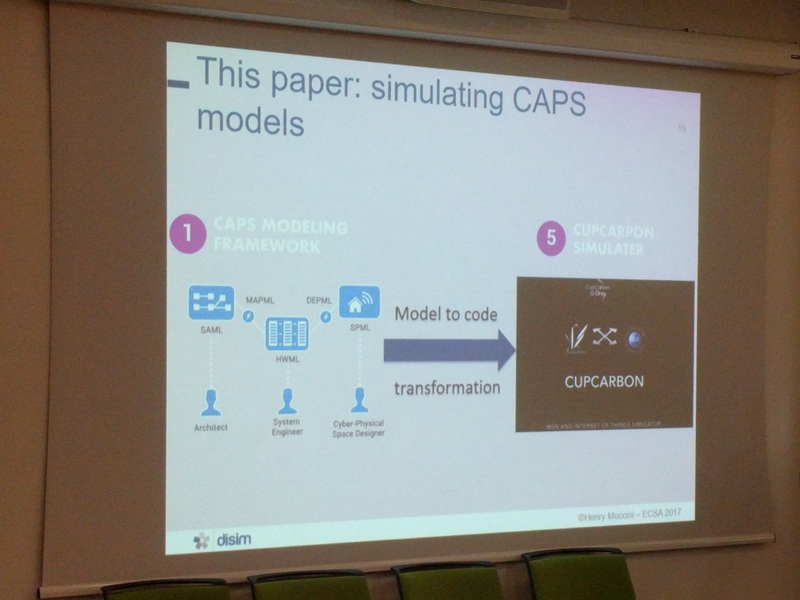 In this paper, they present a way how the CAPS modeling framework can be transformed into CUPCARBON. 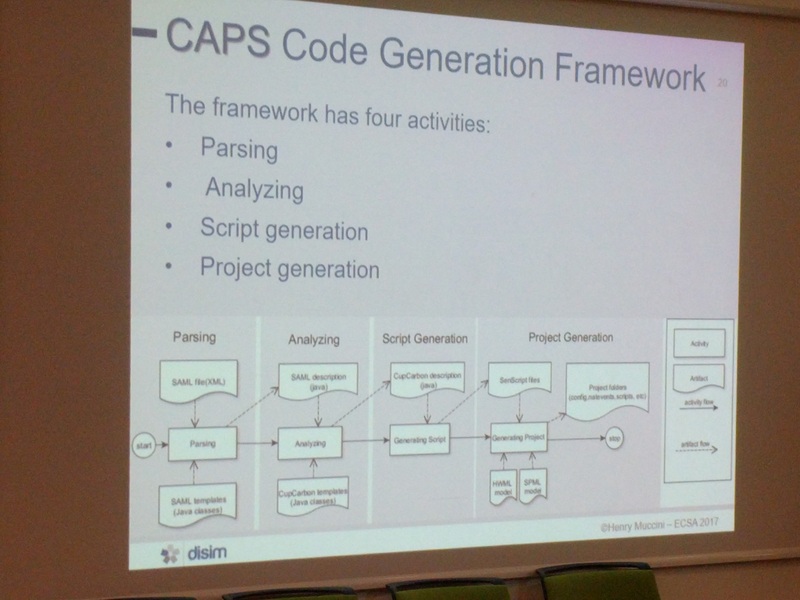 For this, they created a metamodel of CUPCARBON, and a mapping from CAPS to this meta model. 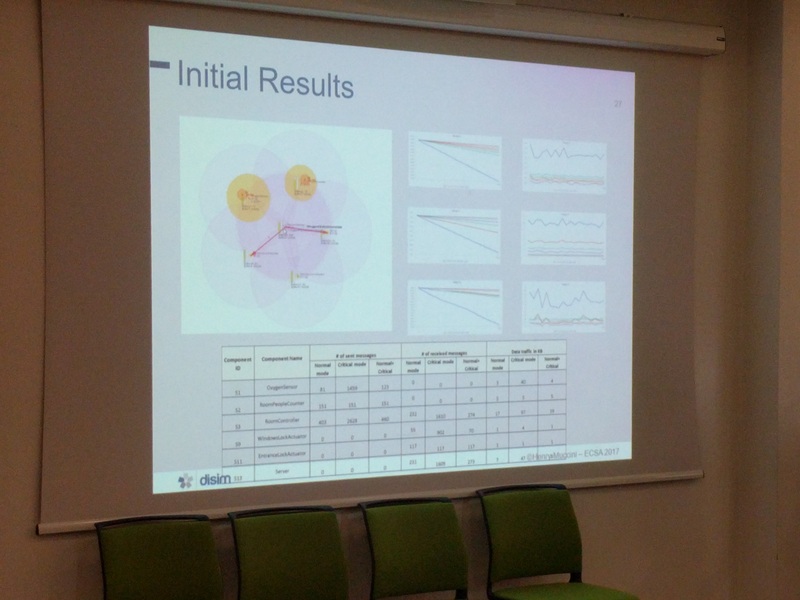 As an initial experiment they took NdR, selected three models, and generated three times the tool, giving three times the code. Next, they compared these three results. In a few months, they want to validate these results with reality, and link it with the execution platform, to see how well this generated code will work.